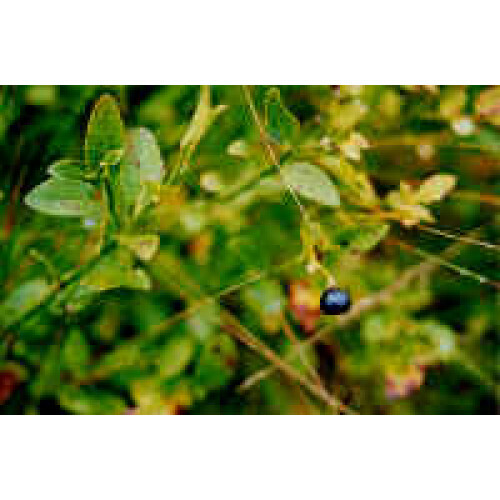 Bilberry is any of several species of low-growing shrubs the genus Vaccinium (family Ericaceae), bearing edible fruits. The species most often referred to is Vaccinium myrtillus L., but there are several other closely related species. Often associated with improvement of night vision, bilberries are mentioned in a popular story of World War II RAF pilots consuming bilberry jam to sharpen vision for night missions. However, a recent study by the U.S. Navy found no such effect and origins of the RAF story cannot be found. Although the effect of bilberry on night vision is controversial, laboratory studies have provided preliminary evidence that bilberry consumption may inhibit or reverse eye disorders such as macular degeneration. A randomized, double-blind, placebo-controlled clinical trial on 50 patients suffering from senile cataract showed that a combination of bilberry extract and vitamin E administered for 4 months was able to stop lens opacity progress in 97% of the cataracts. As a deep blue fruit, bilberries contain high levels of anthocyanin pigments, which have been linked experimentally to lowered risk for several diseases, such as those of the heart and cardiovascular system, eyes and cancer. In folk medicine, bilberry leaves were used to treat gastrointestinal ailments, applied topically, or made into infusions. Bilberries are also used as a tonic to prevent some infections and skin diseases.